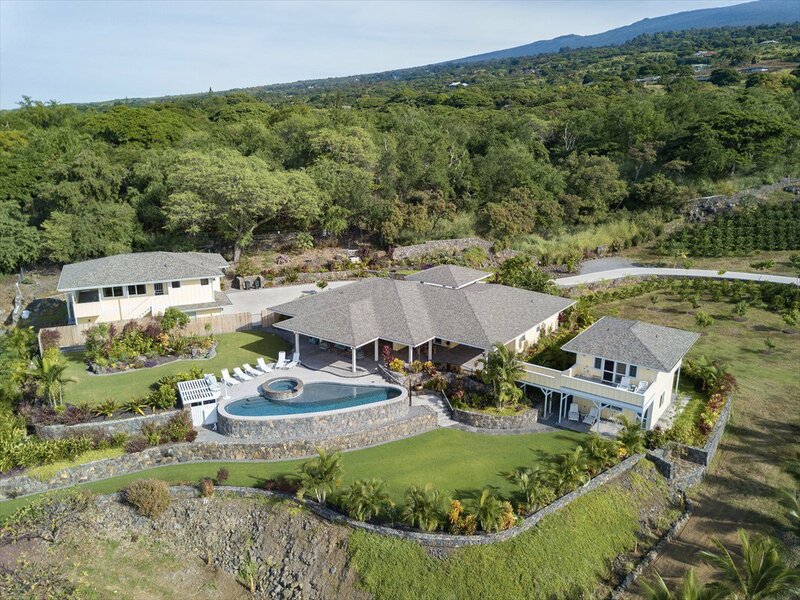 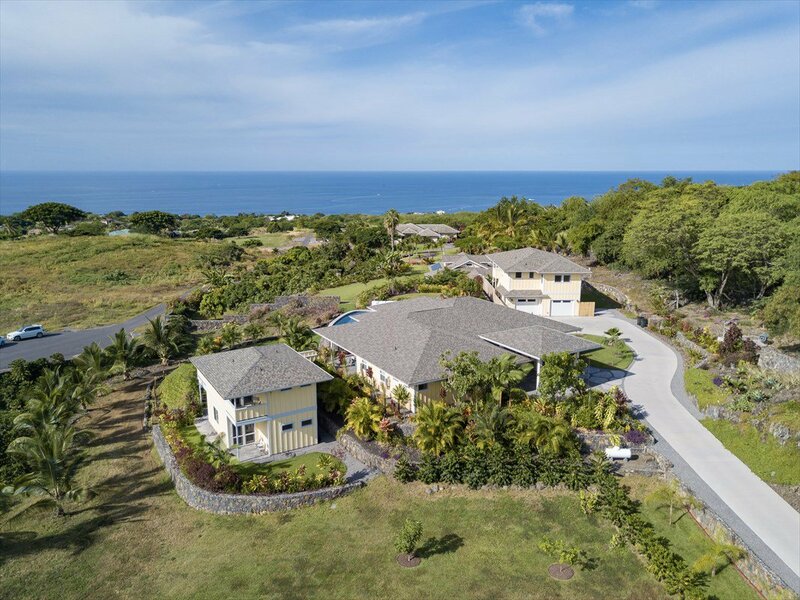 Beautiful 4 bedroom, 5.5 bath on almost 2 acres in the gated community of Wehilani. 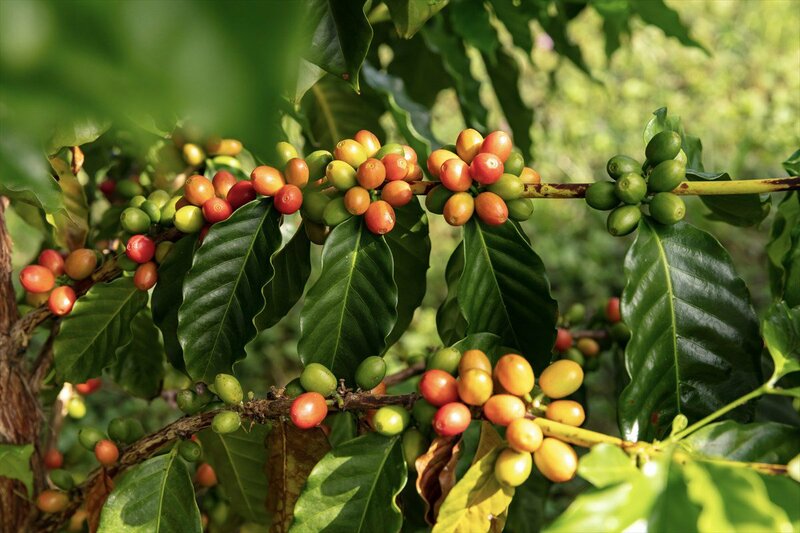 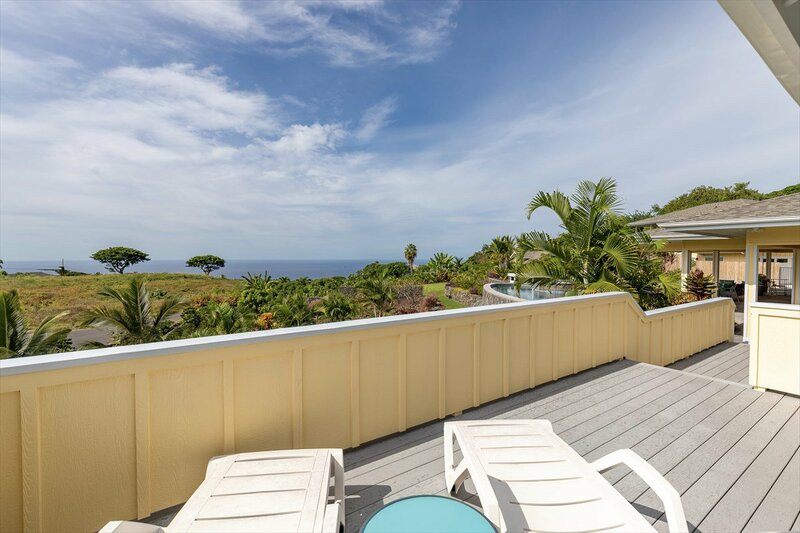 Meticulously landscaped with producing Kona coffee, many fruit trees and sweeping ocean & sunset views. 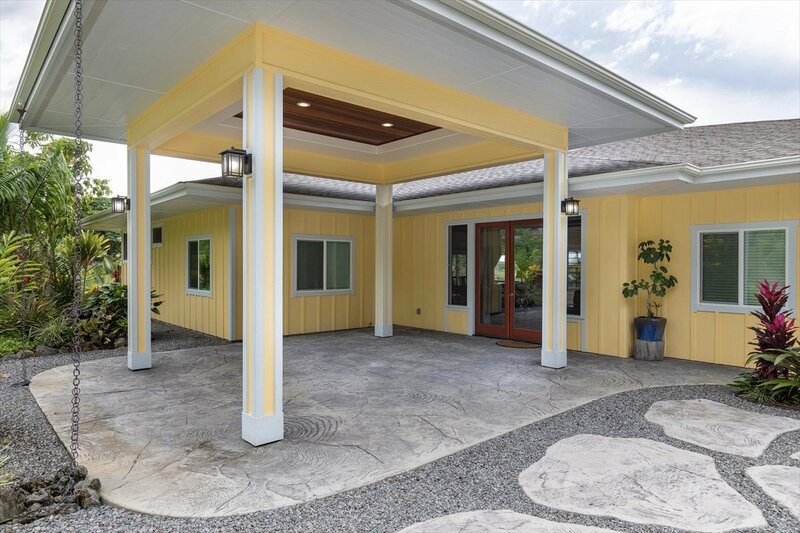 Three structures with 4 separate entrances create privacy and provide the perfect setting for this property. 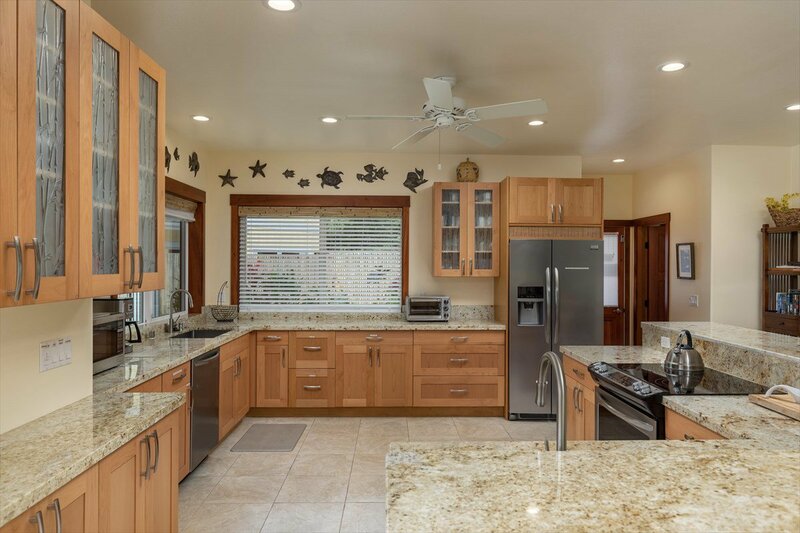 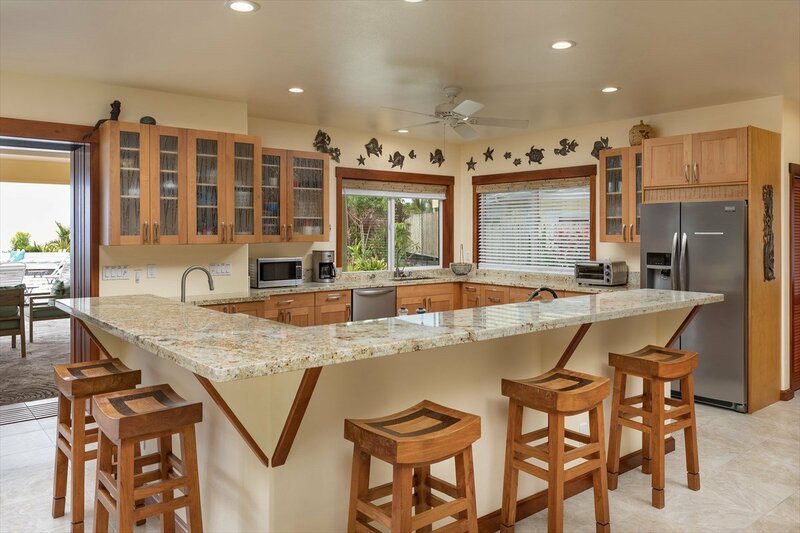 The main house has a large kitchen with cherry cabinets, granite counters, L-shaped island and stainless appliances. 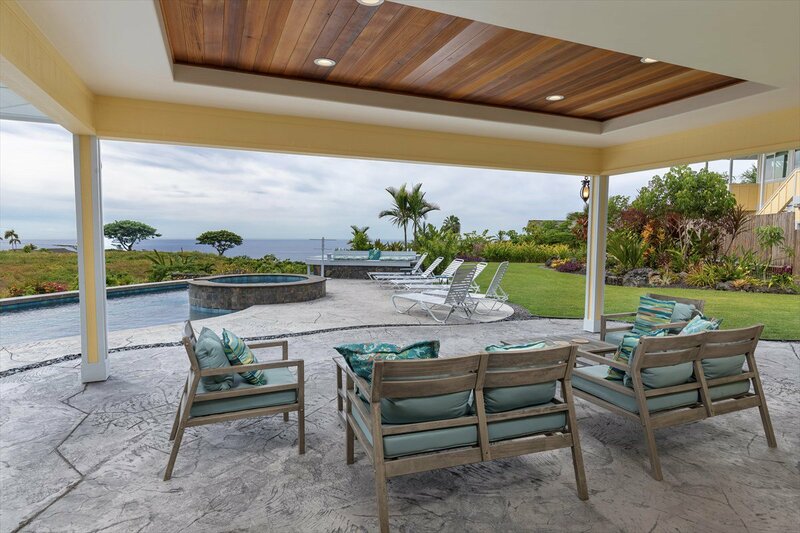 Glass doors in dining & living areas open to the massive lanai with pool/spa ensuring ocean views throughout. 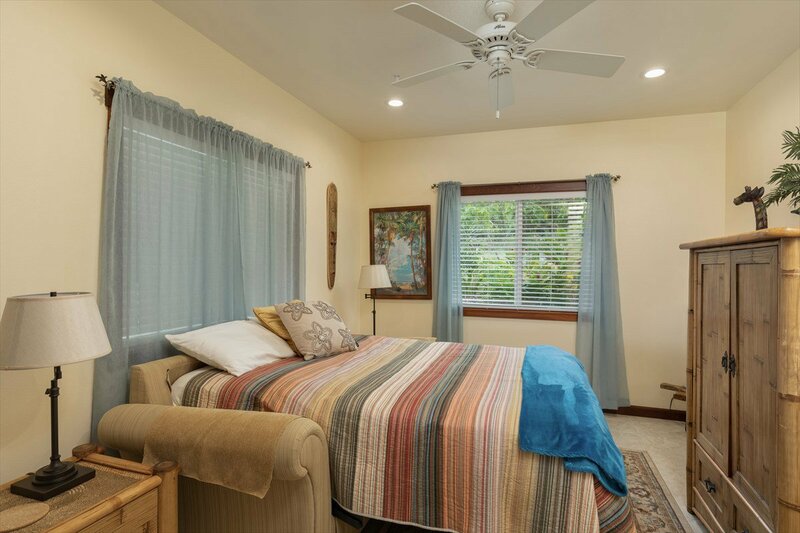 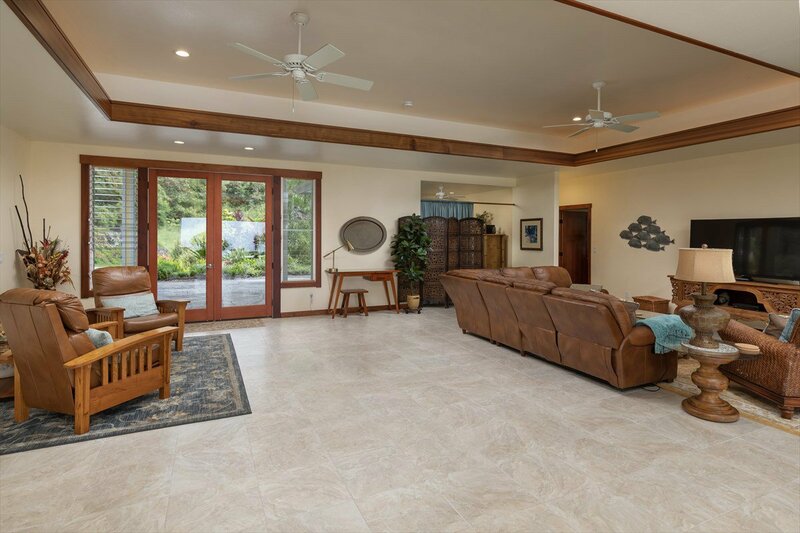 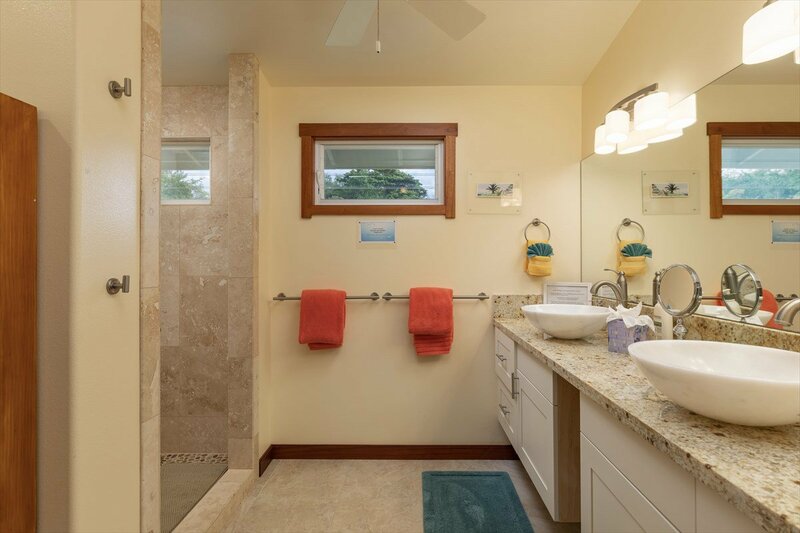 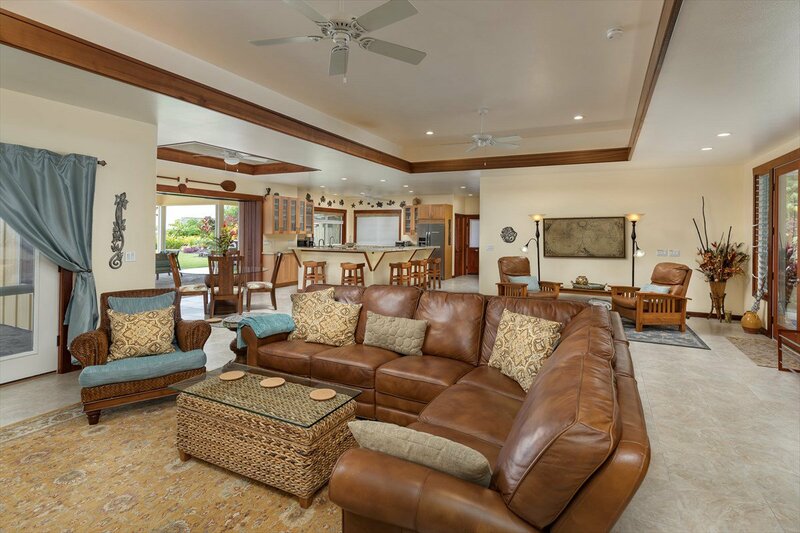 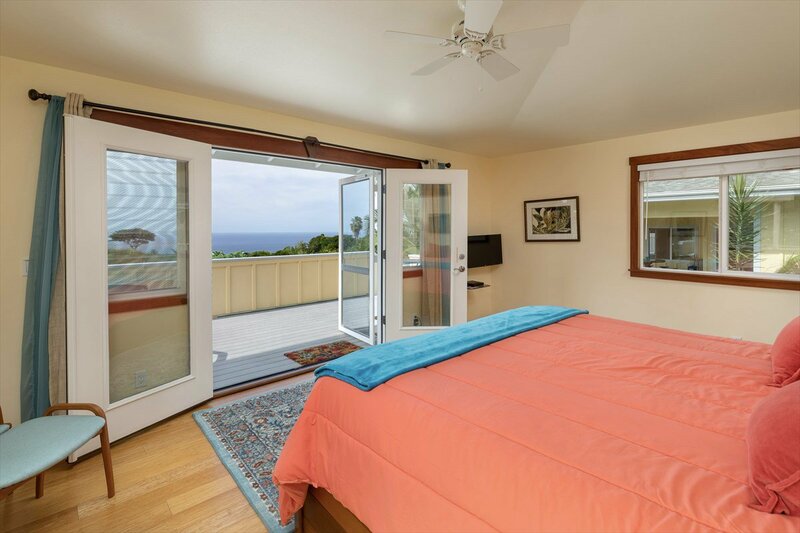 The master suite features separate granite vanities with vessel sinks, travertine walk-in shower, large walk-in closet, French doors to lanai & pool and ocean views. 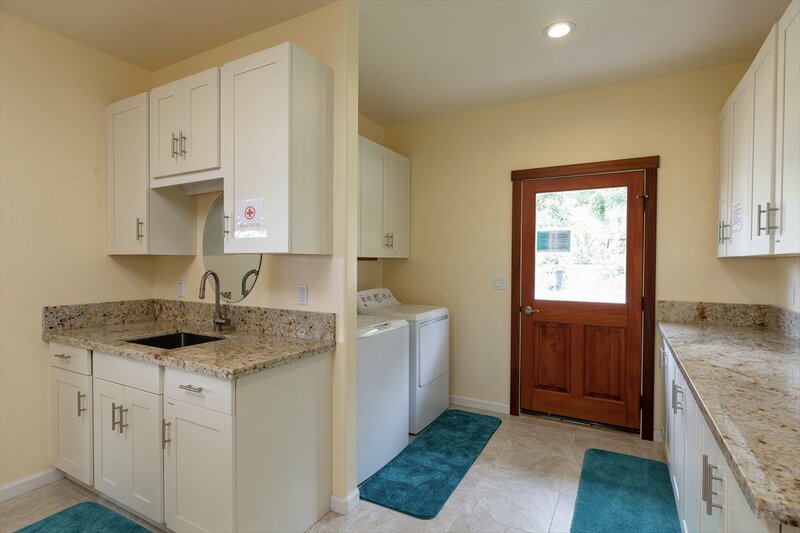 An enormous laundry room with tons of storage and an office complete this main home. 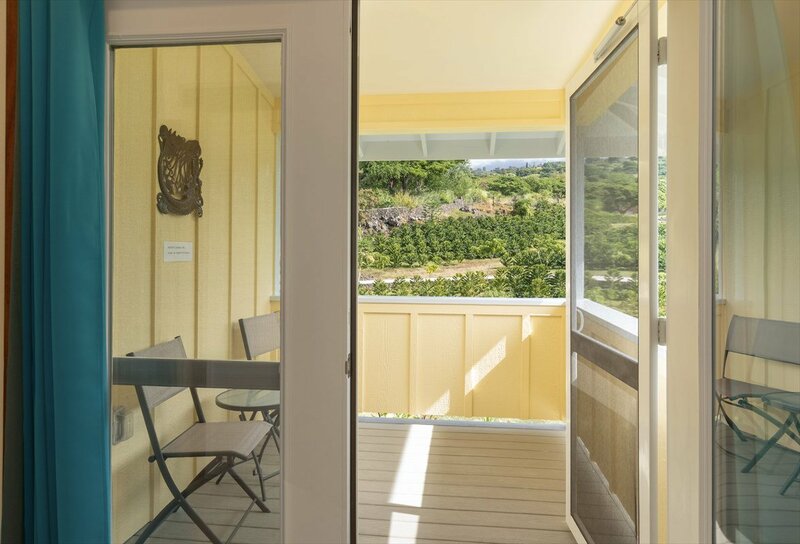 A few steps away is a 2-level structure with separate entrances to suites on each floor. 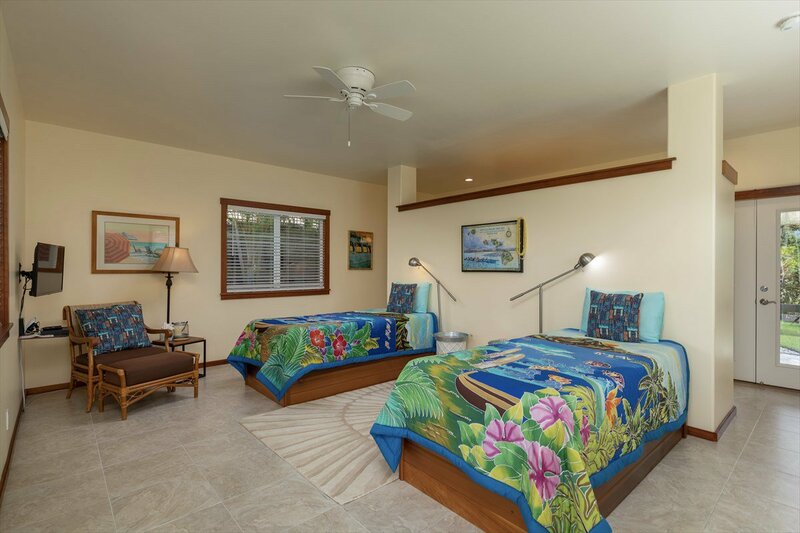 Each suite has a bedroom & bath with granite double vanities, vessel sinks, travertine walk-in showers, walk-in closets & wet bars. 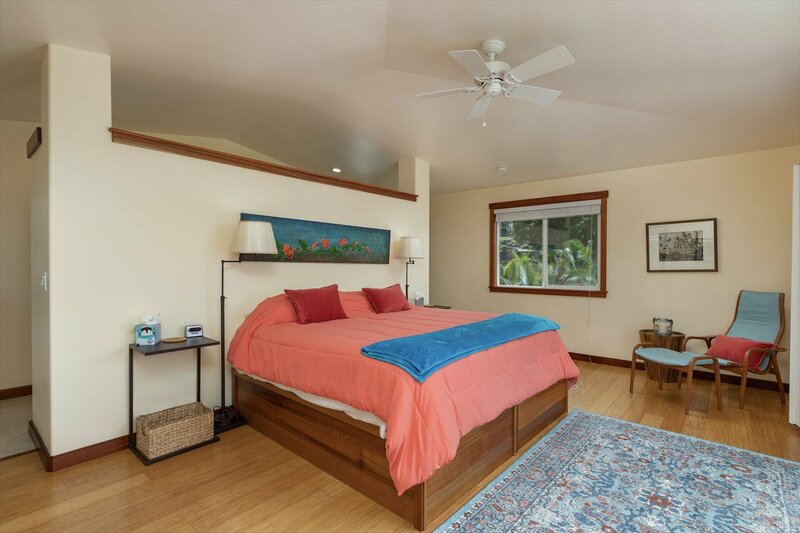 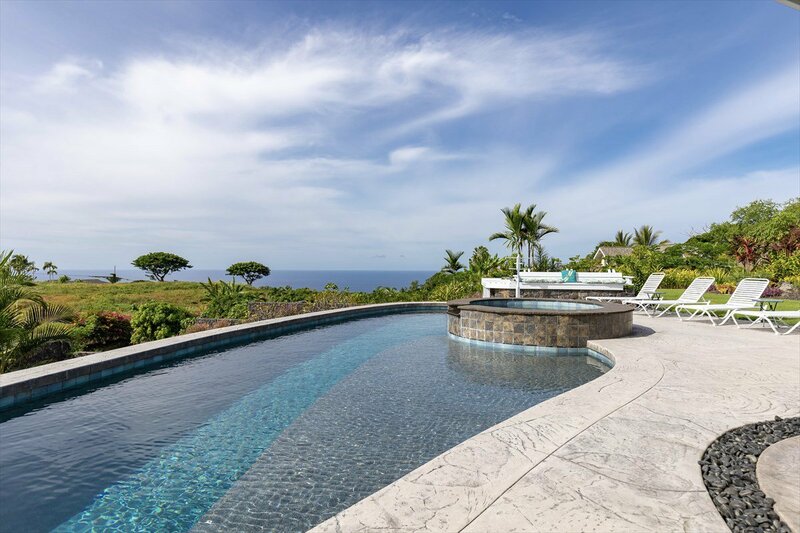 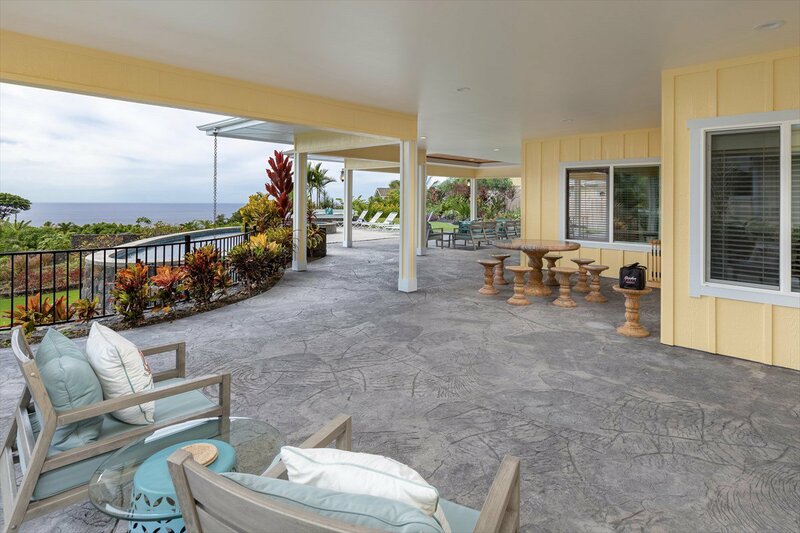 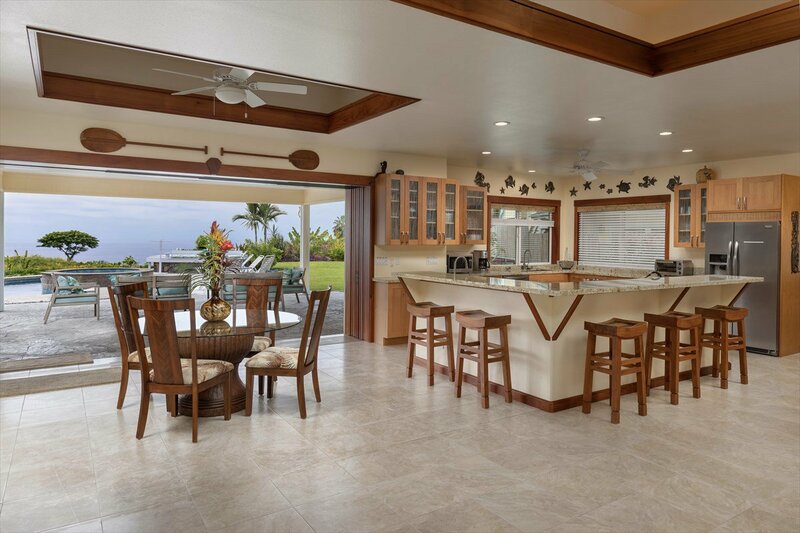 Both have private lanais, ocean views & easy access to the main lanai & pool. 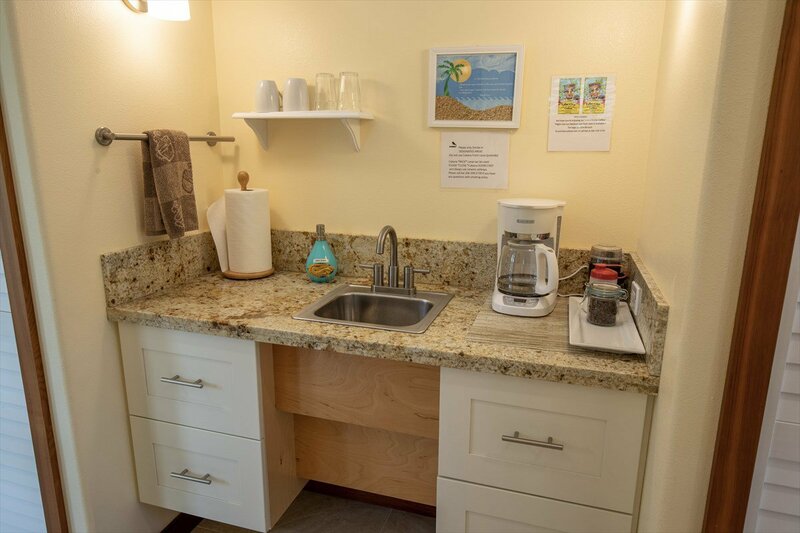 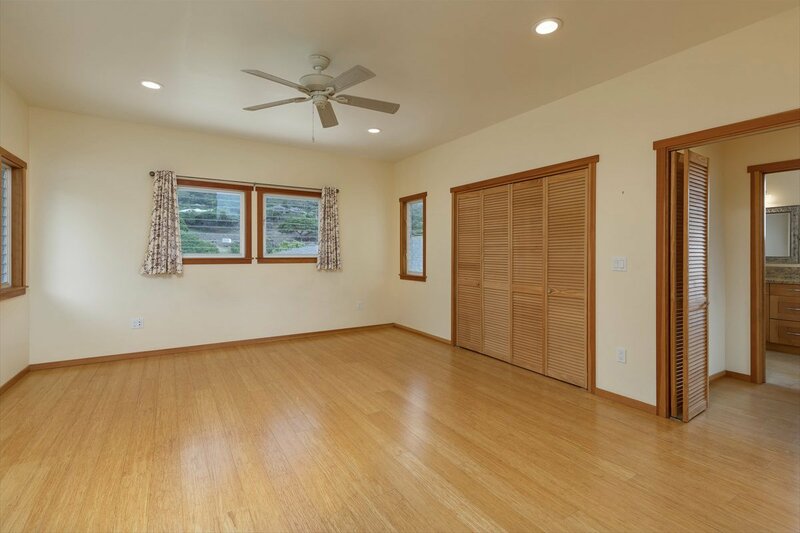 The 1 bedroom/1 bath, 1400 sf Ohana is positioned on the other side of the main home. 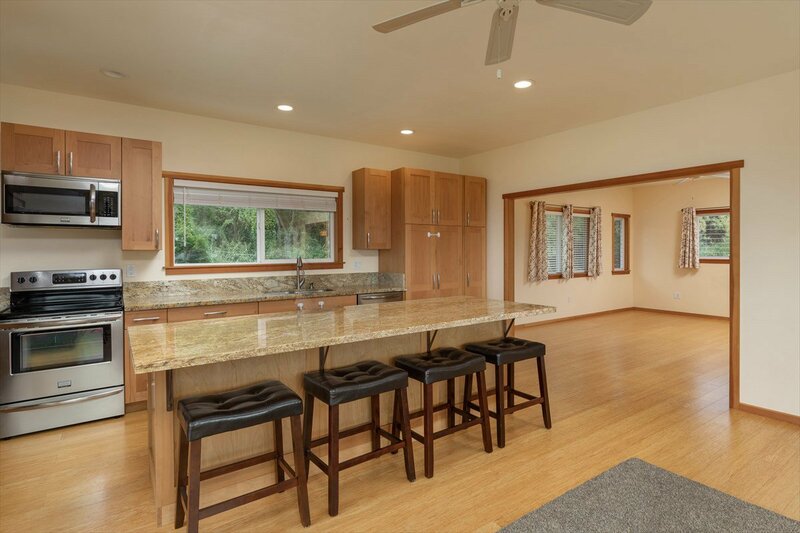 Featuring wood floors, full kitchen with granite counters & stainless appliances, travertine bath & walk-in shower. 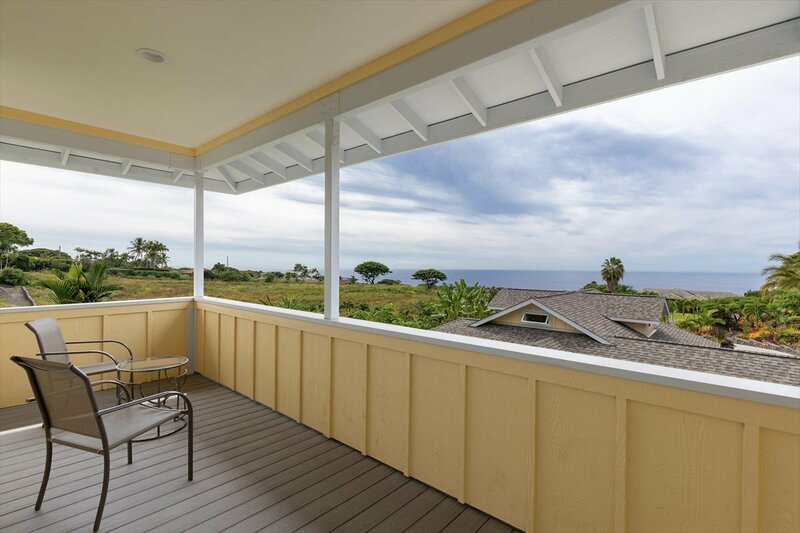 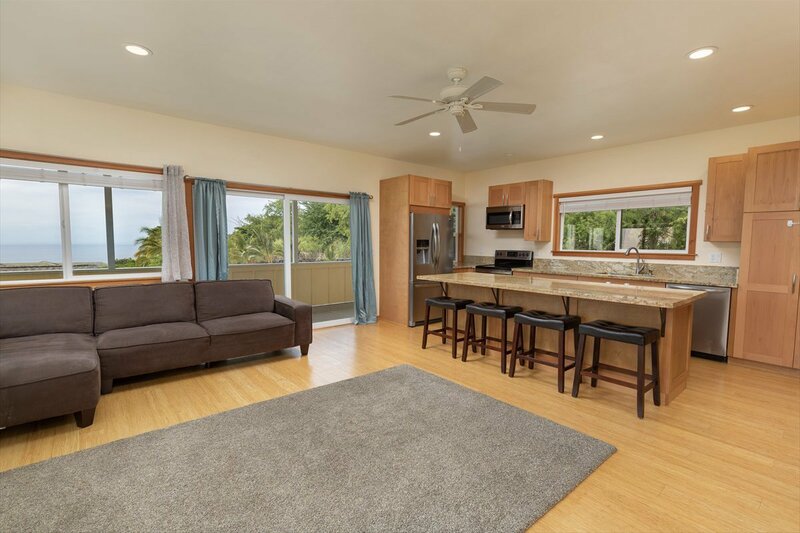 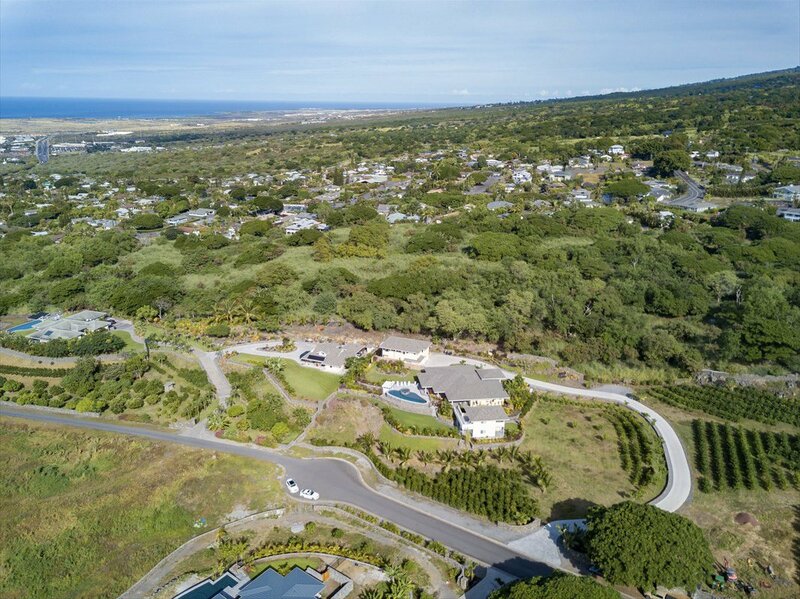 Walls of windows & a large sliding door open to a private lanai and amazing ocean views. 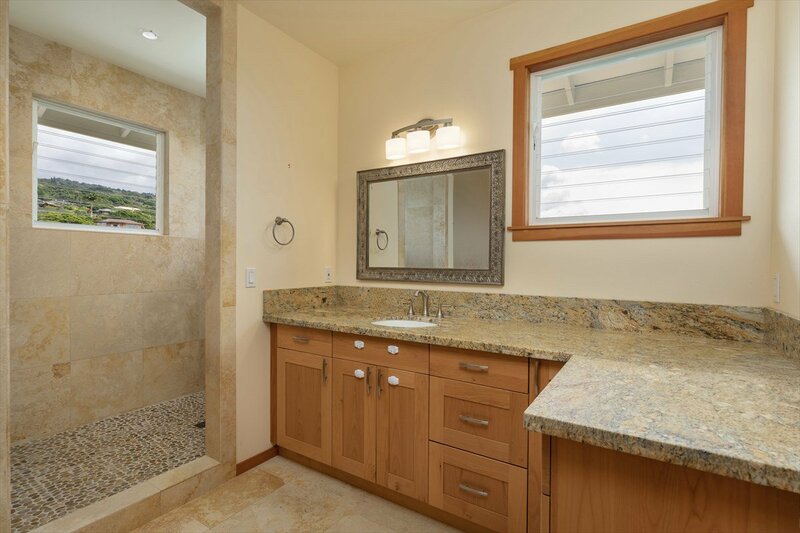 Below is a 2+ car garage with large storage & workshop areas and has its own bath and shower. 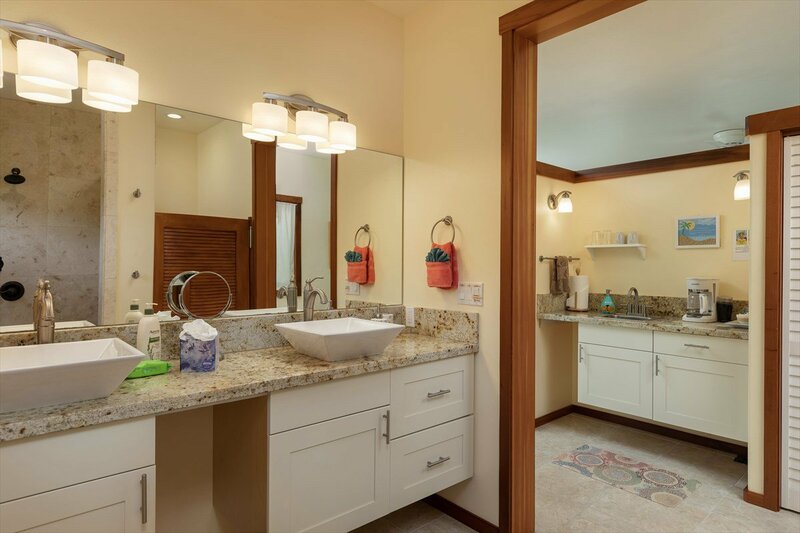 No detail has been left undone in this property leaving you with endless possibilities! 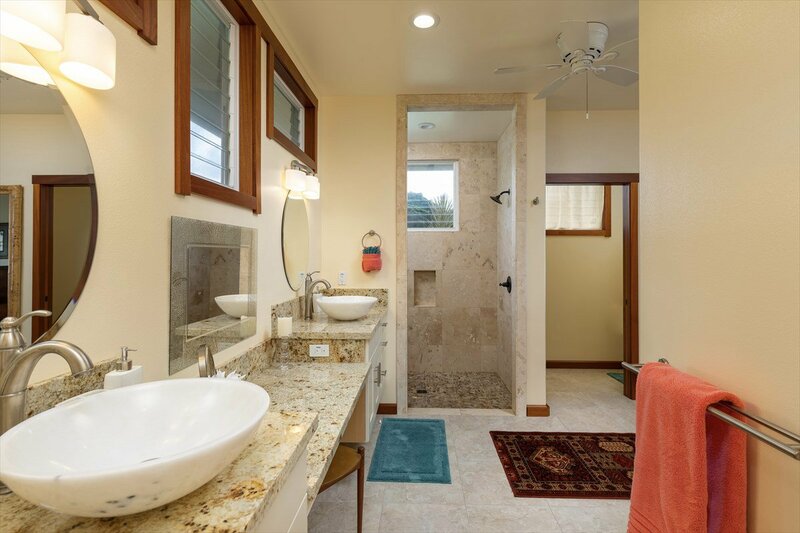 Note: The number of bathrooms does not match the county record though permits exist. 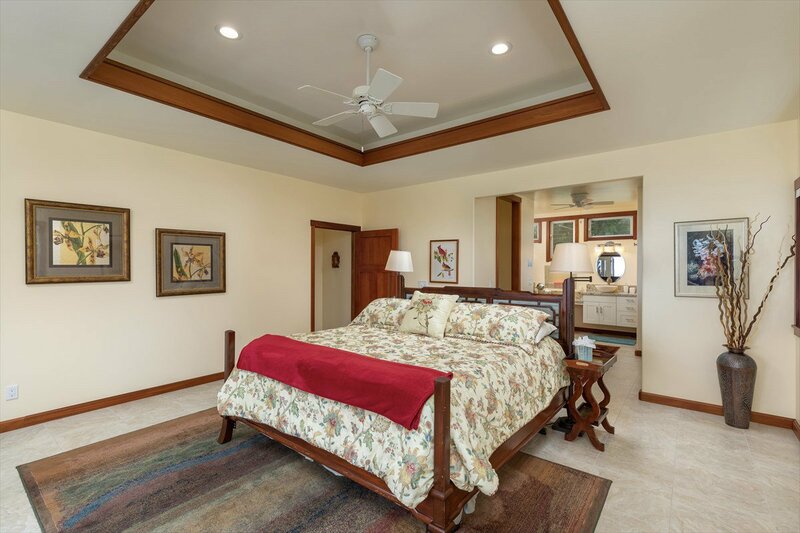 Listing courtesy of Hapuna Realty.